Next month will be a year since I came up with the idea of making a monthly kid’s zine for adults, full of original short stories and illustrations. This year I have made and shared five brightly colored issues, each of them light-hearted and full of puns. ‘The Scribbler’ was born of my lifelong desire to write children’s books, and more importantly (or at least more challengingly) to illustrate them myself. Though each genre I venture into is new territory and requires practice and learning, I didn’t doubt my ability to write the stories. It was the artwork that terrified me. Arts and crafts have always appealed to me. Just yesterday I made an owl, hand-sewed and filled with rice. Even while traveling I couldn’t resist bringing art supplies. In our van is a large tub of art supplies, plus two tote bags. When we backpacked for a year, I made room in my tiny carry-on sized backpack for art supplies. It’s important to me. It’s good for my brain. But that doesn’t mean I’m necessarily good at all of it. I found it difficult to practice illustrating. I was never quite sure what to make. I played with sketching and watercolor, and sometimes I made things I really liked. It was encouraging. An optimistic doer, I set the goal of releasing a monthly zine to encourage myself to produce more art. With more practice, I could hone the skill, build the muscle, and eventually, I would feel ready to illustrate an entire book. Inspired by the simplicity of Sandra Boynton’s work and other cartoonists, and drawn as ever to bright colors, I set to work. My work definitely improved. With each zine issue, I felt I had grown. Yet, the art remained the most difficult part. I put it off until last and struggled with it. While I was pleased with some aspects of my creations, and enjoyed the dual storytelling of words and pictures, I wasn’t satisfied with my artwork. It wasn’t quite right. During the storm of novel-writing this summer, I stopped working on the zine, midway through an issue. I was exhausted from all of the writing and growing, and I didn’t want to grapple with ‘The Scribbler’ on top of everything else. So I set it aside, not abandoned but waiting. 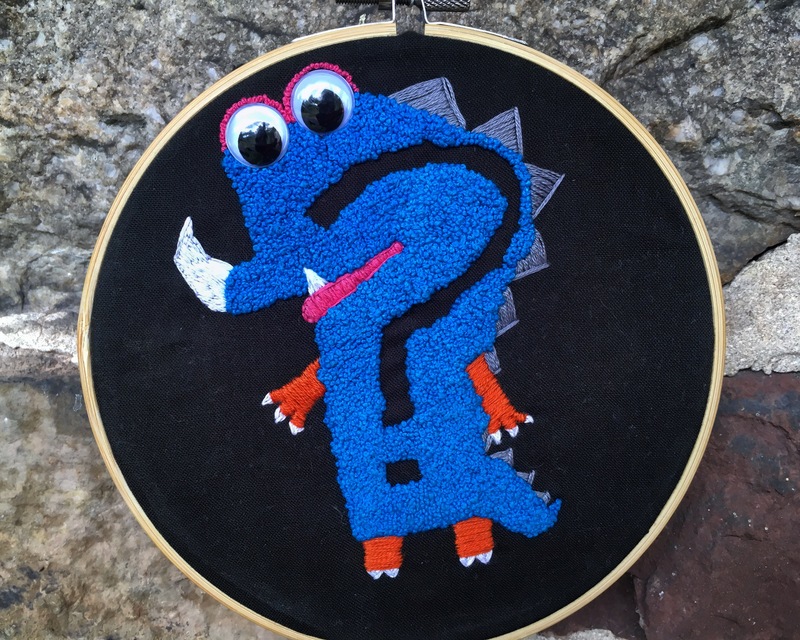 In May of this year, my friend and writing partner, Kirby, introduced me to embroidery. She described it as ‘painting with thread’, and though I was skeptical at first, it had such selling points as ‘bright colors’, ‘fairly inexpensive’, and ‘highly portable’. So I tried it, and I completely surprised myself. You guys. I’m good at it. I don’t understand why, but my brains knows what it’s doing. From my very first piece, I could see the finished product in my head, and my hands set about connecting tiny straight lines of different colors and made exactly what I wanted. No need for a pattern. No thought of sketching it out first. I was hooked. I had ideas. 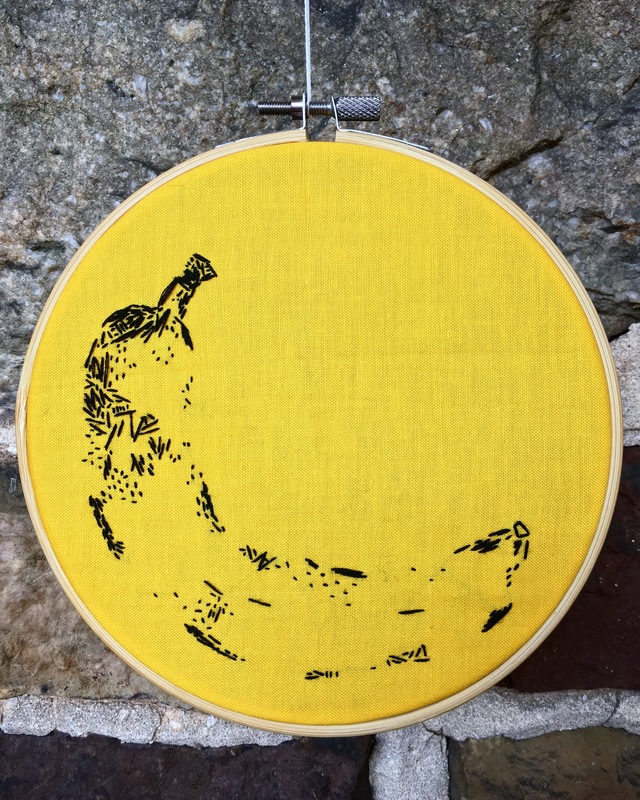 I started following textile artists on social media and saw even more possibilities. I made and made and made, using embroidery to unwind after long writing days and to give my restless hands something to do while watching movies. Unlike crochet, it didn’t hurt my hands, even after long hours of it for days (weeks) on end. 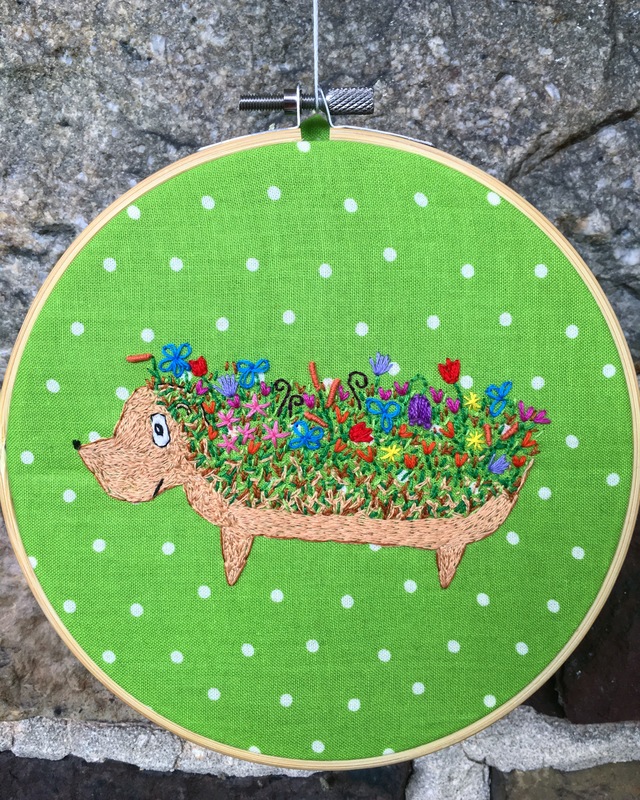 I experimented and found that I had endless patience for all the little stitches, content to tinker with each piece until I had it just right. In all of this, ‘The Scribbler’ has been on my mind. I felt uncertain about how to proceed. Not exactly discouraged, not exactly enthusiastic, but sure I wasn’t ready to set it aside forever. 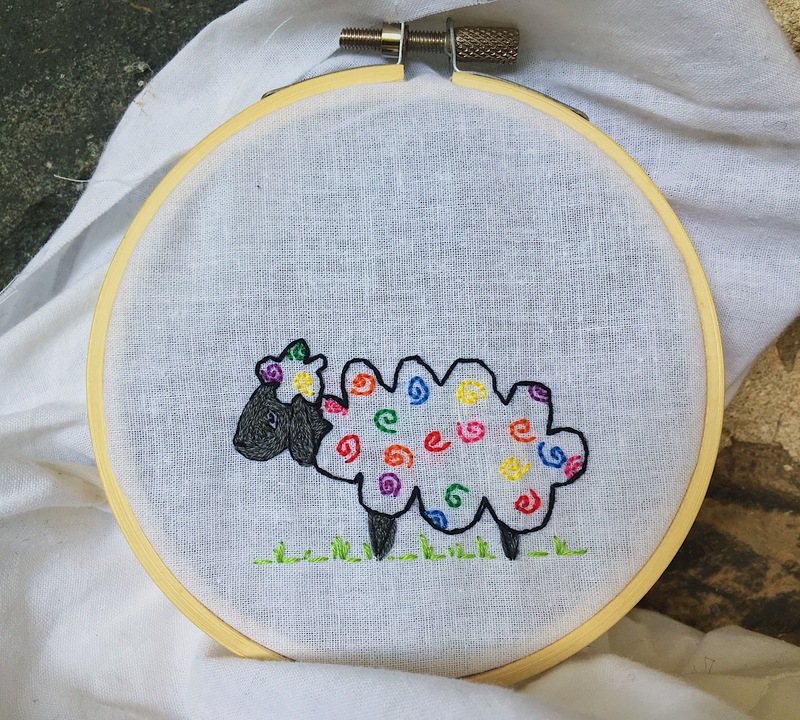 As I’ve continued to embroider, I’ve come to see it as an artform, and I’ve realized – I could illustrate my writing with this! 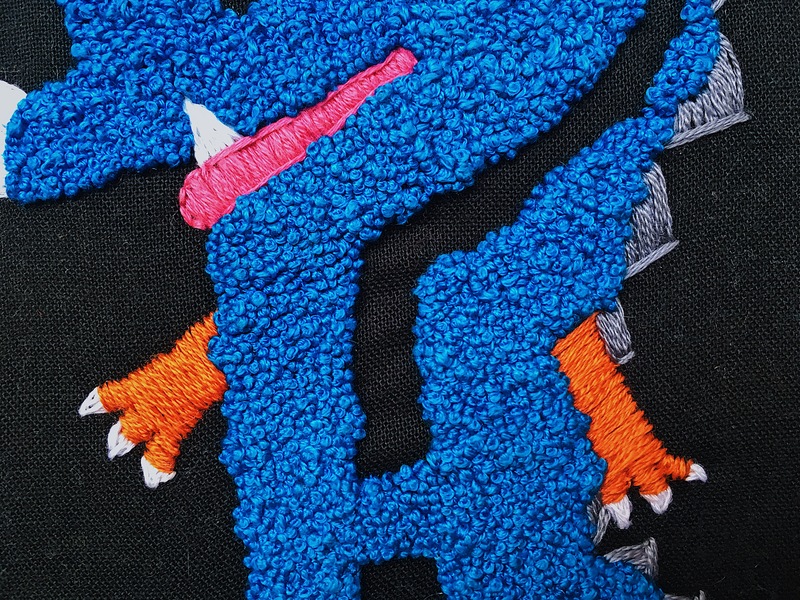 I’ve tested out embroidering some of my favorite drawn/painted characters, and they’ve translated even better via needle and thread than they did on paper. 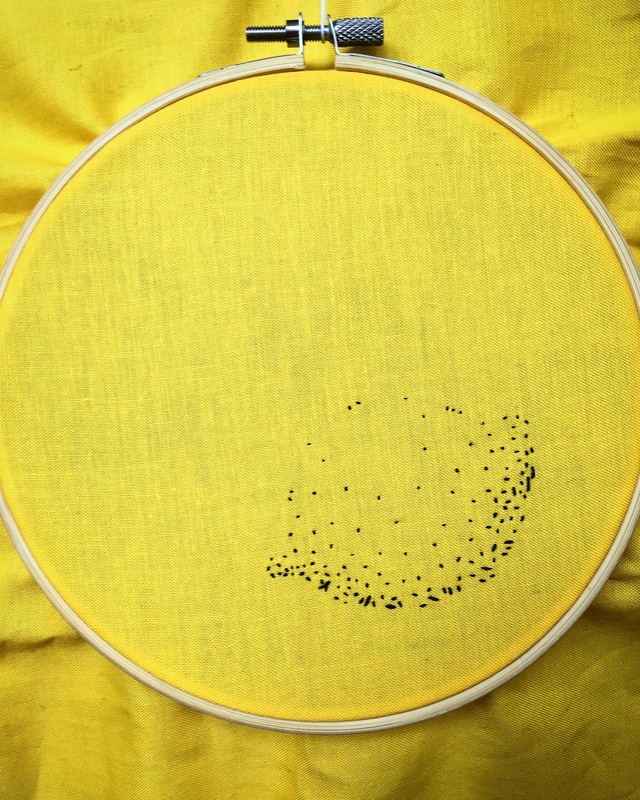 After much thought, I’ve decided to begin illustrating ‘The Scribbler’ with my textile art rather than with painting. I’m not sure how the pacing will work, as embroidery takes a lot longer than painting, but I’m looking forward to experimenting and sharing my storytelling through this new medium. Courtney, loved the embroidery hedgehog was adorable. I think that is your medium.